When looking into buying or insuring a Renault van, the first thing you notice might be the huge variety of classifications that their range of 3 basic vans can fall in to. On Renault’s website, you can see these 3 vans in all their various forms, including panel vans, crew vans, platform cabs and passenger vehicles. This can make predicting insurance costs even more difficult than usual, but luckily, Confused.com is here to help. Cars on UK roads are allocated an insurance grouping by the ABI (Association of British Insurers), which insurance companies use (among a lot of other information about the policy holder) to calculate premiums – generally, the higher the insurance group, the higher the premium. Vans are often recommended an insurance group by the ABI, and insurance providers will use only their own rating systems to calculate risk and premium, so we’ve put together this table showing the current range of Renault vans and some of their characteristics that are likely to impact your insurance premium. If your van has the largest, most powerful engine available in the range, you can expect a higher than average premium. With the information above you can imagine how just some of the customisable specifications for Renault’s van range may impact your insurance premium – generally, the bigger the engine or load capacity, or the more seats you have, the higher the premium you can expect to be charged. The best way to get an accurate idea of insurance prices is to run a quote using Confused.com’s simple comparison tool – we’ll compare our panel of trusted providers and get our best quotes back to you in minutes. You might also be interested in our guides on van insurance, learn tips on how to save money on your van insurance. Renault has been producing vehicles for over a century, and has grown into one of the biggest car manufacturers in Europe, where their core market lies. They have developed a reputation for their work with electric cars, investing 4 billion euros in their electric vehicle projects in 2011. They have also enjoyed success in Rallying and Formula 1, so are a dominant name in a variety of circles. Their reputation is also helped by the appeal of their vehicles to diverse range of customers, particularly those in their commercial range. 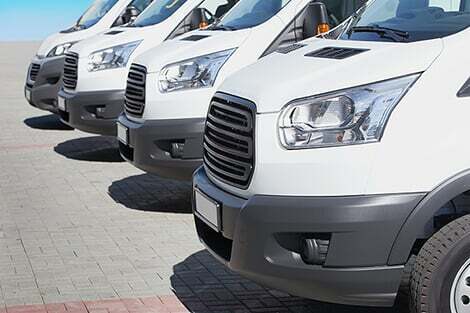 For example, their Master van comes in 13 different models, from passenger vehicles to chassis cab trucks, so there’s a van to suit all kinds of needs.